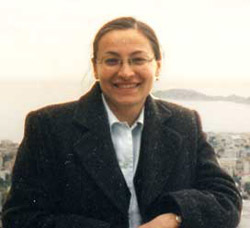 1.02.2002 - 02.2004	Marie Curie Individual Fellowship at the GSF- National Research Center for Environment and Health, Institute of Ecological Chemistry, Neuherberg, Technical University of Munich, Germany. 01.08.1995 - 31.07.1996 Fellowship of the German Academic Exchange Service - DAAD at the Technical University of Munich, Germany. 01.03.1999 - 31.08.1999	Postdoctoral research Fellowship of Germany Academics (UDAW) at the GSF- National Research Center for Environment and Health, Institute of Ecological Chemistry, Neuherberg, Germany. 01.09.1999 - 29.02.2000	Postdoctoral research Fellowship of Hanns-Seidel Foundation at the GSF- National Research Center for Environment and Health, Institute of Ecological Chemistry, Neuherberg and Technical University of Munich, Germany.  Neamtu M., Bobu M., Kettrup A., Siminiceanu I. . Ozone photolysis of paracetamol aqueous solution. Journal of Environmental Science and Health, Part A, 48 (10), p. 1264 – 127, 2013.  Ciumasu M. I., Costica M., Costica N., Neamtu M., Dirtu A. C., De Alencastro L. F., Buzdugan L., Andriesa R., Iconomu L., Stratu A., Popovici O. A., Secu C. V., Olariu C. P., Dunca S., Stefan M., Lupu A., Stingaciu-Basu A., Netedu A., Dimitriu R. -I., Ga. Complex Risks from Old Urban Waste Landfills: Sustainability Perspective from Iasi, Romania, . Journal of Hazardous, Toxic, and Radioactive Waste - ASCE, 16 (2), pp. 158-170, 2012.  Neamtu M., Ciumasu I. M., Costica N., Costica M., Bobu M., Nicoara M. N., Catrinescu C., Becker van Slooten K., De Alencastro L. F. . Chemical, biological and ecotoxicological assessment of pesticides and persistent organic pollutants in Bahlui River, Romania. Environmental Science and Pollution Research, 16, pp. S76-S85, 2009.  Neamtu M., Popa D. M., Frimmel F. H. . Simulated solar UV-irradiation of endocrine disrupting chemical octylphenol. Journal of Hazardous Materials, 164, pp. 1561-1567, 2009.  Tercero Espinoza, L. A., Neamtu M., Frimmel F. H. . The effect of nitrate, Fe(III) and bicarbonate on the degradation of bisphenol A by simulated solar UV-irradiation. Water Research, 41, pp. 4479-4487, 2007.  Neamtu M., Popa D. M., Frimmel F. H. . Photodegradation of endocrine disrupting chemicals nonylphenol and octylphenol in River Rhine and Lake Hohloh waters.. In Fritz H. Frimmel, Gudrun Abbt-Braun (eds. ), Humic Substances - Linking Structure to Functions. , pp. 913-917. Universität Karlsruhe, 2006.  Catrinescu C., Neamtu M., Miehe-Brendlé J., Gich Garcia M., Kettrup A. . Catalytic wet peroxide oxidation of reactive azo dyes over iron-containing pillared beidellite catalyst.. In M. Snárez, M. Á. Vicente, V. Rives, M. J. Sánchez (eds. ), Materiales arcillosos: de la geología a las nuevas aplicaciones, pp. 87-99. 2006.  Neamtu M., Frimmel F. H. . Degradation of endocrine disrupting Bisphenol A by 254 nm irradiation in different water matrices and effect on yeast cells. Water Research, 40, pp. 3745-3750, 2006.  Jahnel J., Neamtu M., Schudoma D., Frimmel F. H. Bestimmung von Umweltqualitätsnormen für potenziell gewässerrelevante Stoffe. Acta hydrochemica et hydrobiologica, 34, pp. 389-397, 2006.  Neamtu M., Frimmel, F. H. . Photodegradation of endocrine disrupting chemical nonylphenol by simulated solar UV-irradiation. Science of the Total Environment, 369, pp. 295-306, 2006.  Zaharia C., Neamtu M., Yediler A., Surpateanu, M., Macoveanu M. . Catalytic wet hydrogen peroxide oxidation of Reactive Procion Marine H-EXL dye solutions. In Proceedings of international scientific conference UNITECH 2005, pp. 383-389. University Publishing house " V. Aprilov" - Gabrovo, 2005.  Neamtu M., Catrinescu C, Kettrup A. Effect of dealumination of iron(III)--exchanged Y zeolites on oxidation. Applied Catalysis B: Environmental, 51, pp. 149-157, 2004.  Neamtu M., Zaharia C., Catrinescu C., Yediler A., Macoveanu M., Kettrup A. . Fe-exchanged Y zeolite as catalyst for wet oxidation of Procion Marine H-EXL azo dye. Applied Catalysis: Environmental, 48/4, pp. 287-294, 2004.  Neamtu M., Yediler A. , Siminiceanu I. , Macoveanu M. , Kettrup A. . Decolorization of disperse red 354 azo dye in water by several oxidation processes - a comparative study. Dyes and Pigments, 60, pp. 61-68, 2004.  Neamtu M., Yediler A., Siminiceanu I., Kettrup A. . Photo-Fenton Oxidation of C. I. Reactive Yellow 84 (RY84) and C. I. Reactive Red 120 (RR120) azo dye aqueous solutions. In Proceeding of 2nd International Congress on Ultraviolet Technologies. 2003.  Neamtu M., Yediler A., Siminiceanu I., Kettrup A. . Oxidation of commercial reactive azo dye aqueous solutions by the photo-Fenton and Fenton-like processes. J. Photochem. Photobiol. A: Chemistry, 161, pp. 87-93, 2003.  Neamtu M., A. Yediler, I. Siminiceanu, A. Kettrup. Photo-Fenton Oxidation of C. I. Reactive Yellow 84 (RY84) and C. I. Reactive Red 120 (RR120) azo dye aqueous solutions. In Proceeding of 2nd International Congress on Ultraviolet Technologies, Vienna, Austria, 9-11 July, CD. 2003.  Neamtu M., C. Catrinescu, A. Yediler, A. Kettrup. Catalytic wet peroxide oxidation of Reactive Yellow 84 azo dye over heterogeneous catalyst. In Ed. Alfons Vogelpohl (ed. ), Oxidation Technologies for water and wastewater treatment - Special Topic: AOP´s for Recycling and Reuse, 1, pp. 899-904. Claustahl: Papierflieger Verlag, Germany, 2003.  A. Kettrup, Mariana Neamtu, A. Yediler, I. Siminiceanu. Textile wastewater treatment by photochemical processes. In A. Macias Machin, J. Umbria (eds. ), Chemical Industry and Environment IV, 1, pp. 31-36. Universidad de Las Palmas de Gran Canaria, 2003.  Mariana Neamtu, A. Yediler, I. Siminiceanu, M. Macoveanu and A. Kettrup. Comparation of disperse red 354 azo dye degradation in water by several oxidation processes. In 5th IWA chemical industry group conference, Nimes, France, 13-15 November, pp. 391-399. 2002.  Neamtu M., Siminiceanu I., Macoveanu M., Yediler A., Kettrup A. . Photodegradation of Azo Dyes in Textile Wastewater. Dyes and Pigments, 53, pp. 93-99, 2002.  I. Siminiceanu, Neamtu M. . Kinetics of Bisphenol-A photodegradation in water by ultraviolet activated hydrogen peroxide. Rev. Chem (Bucharest) (English Edition), 2, pp. 19-22, 2001.  D. Lienert, Mariana Neamtu, M. Koch, A. Yediler, A. Kettrup. Comparasion of methods for COD determination in wastwwater streams. Melliand Textilberichte International Textile Reports, 6, p. E130, 2000.  D. Linert, Neamtu M., M. Koch, A. Yediler, A. Kettrup. Vergleich von Methoden zur CSB-Bestimmung in Abwasserteilströmen. Melliand Textilberichte International Textile Reports, 6, pp. 523-525, 2000.  Neamtu M., Yediler A., Siminiceanu I., Macoveanu K., Kettrup A. . Phodegradation of reactive yellow 84 azo-dye in aqueous solution. Toxicological and Environmental Chemistry, 78, pp. 31-40, 2000.  Neamtu M., Siminiceanu I., Kettrup A. . Kinetics of Nitromusk Compounds Degradation in Water by Ultraviolet Radiation and Hydrogen Peroxide. Chemosphere, vol. 40/12, pp. 1407-1410, 2000.  Mariana Neamtu, I. Siminiceanu. Abiotic treatment of drinking water:nitromusk destruction by ultraviolet oxidation with hydrogen peroxide(II). Rev. Chem (Bucharest), 50,7,, pp. 545-553, 1999.  Mariana Neamtu, I. Siminiceanu. Abiotic treatment of drinking water:nitromusk destruction by ultraviolet oxidation with hydrogen peroxide(I). Rev. Chem (Bucharest), 49, pp. 745-750, 1998.  Neamtu, M; Siminiceanu, H; Yediler, A; Kettrup, A, Kinetics of decolorization and mineralization of reactive azo dyes in aqueous solution by the UV/H2O2 oxidation. DYES AND PIGMENTS, 53 (2), pp. 93-99, 2002.  Neamtu, M; Yediler, A; Siminiceanu, I; Kettrup, A, Oxidation of commercial reactive azo dye aqueous solutions by the photo-Fenton and Fenton-like processes. JOURNAL OF PHOTOCHEMISTRY AND PHOTOBIOLOGY A-CHEMISTRY, 161 (1), pp. 87-93, 2003.  Neamtu, M; Yediler, A; Siminiceanu, I; Macoveanu, M; Kettrup, A, Decolorization of disperse red 354 azo dye in water by several oxidation processes - a comparative study. DYES AND PIGMENTS, 60 (1), pp. 61-68, 2004.  Neamtu, M; Catrineseu, C; Kettrup, A, Effect of dealumination of iron(III)-exchanged Y zeolites on oxidation of Reactive Yellow 84 azo dye in the presence of hydrogen peroxide. APPLIED CATALYSIS B-ENVIRONMENTAL, 51 (3), pp. 149-157, 2004.  Neamtu, M; Zaharia, C; Catrinescu, C; Yediler, A; Macoveanu, M; Kettrup, A, Fe-exchanged Y zeolite as catalyst for wet peroxide oxidation of reactive azo dye Procion Marine H-EXL. APPLIED CATALYSIS B-ENVIRONMENTAL, 48 (4), pp. 287-294, 2004.  Adimy, M; Crauste, F; Halanay, A; Neamtu, M; Opris, D, Stability of limit cycles in a pluripotent stem cell dynamics model. CHAOS SOLITONS & FRACTALS, 27 (4), pp. 1091-1107, 2006.  Mihalas, GI; Neamtu, M; Opris, D; Horhat, RF, A dynamic P53-MDM2 model with time delay. CHAOS SOLITONS & FRACTALS, 30 (4), pp. 936-945, 2006.